When it comes to precision measurements, a higher degree of resolution is needed in some scenarios. In this case, traditional dial indicators do not make the cut. What you need is an air gaging amplifier. They can make the air gaging process more productive, efficient, and accurate. How do air amplifiers work? Oftentimes, these amplifiers remember the lowest and highest points that are measured on a part. The device may display one or both of these readings. In order to calculate the Total Indicated Reading (TIR) functions, some amplifiers do subtract the Min. from the Max. If you are looking to get durable and reliable air amplifiers to boost your precision measurement capabilities, you have come to the right place. At Willrich Precision, we carry a comprehensive range of air gaging tools, including the Mahr Federal 832 Single Master Digital Dimensionair Amplifier. In this post, you will find out more about this excellent product and its key features. Mahr GmbH is the world’s third largest manufacturer of digital calipers, form measuring machines, and other metrology equipment. The company was founded in Esslingen, Germany, in 1861. Although Mahr is a medium-sized family-run business, they are still able to fulfill the metrological needs of a wide range of individuals and organizations around the globe. Today, the Mahr Group employs approximately 1,900 employees. Get Mahr Federal 832 Single Master Digital Dimensionair Amplifiers from Willrich Precision! At Willrich Precision, our team is comprised air gaging experts. They can help you located the perfect air gaging tool for your application in no time. Since our inception, we have achieved a reputation of carrying a wide range of air gages, including 832 Single Master Digital Dimensionair Amplifiers by Mahr Federal. You can enjoy complete peace of mind that we also possess nearly 50 years of experience in the field of metrology, gaging, and inspection. 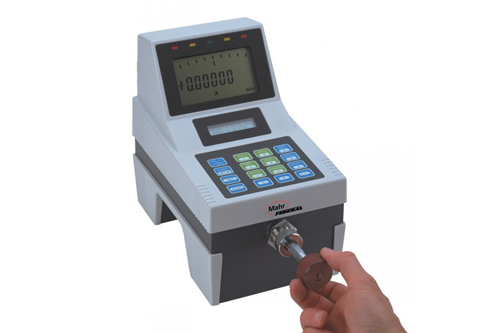 Our company has also supplied metrological equipment to many different industries, including aerospace, medical, pharmaceuticals, technology, automotive, military, energy, and more. When you choose to shop at Willrich Precision, you will be pleased to know that all of our featured products are competitively priced. You will be hard-pressed to find better deals elsewhere. What’s more, they are built to last and offer exceptional repeatability. The products can also withstand harsh environments, so you can expect that your work will be completed without a hitch. If you wish to know more about Mahr Federal’s most trusted 832 Single Master Digital Dimensionair Amplifier, do not hesitate to talk to a Willrich specialist today! Do You Need To Buy A Height Gage?